No matter how much Western yoga communities want to take spirit out of yoga, we cannot, after reading the traditional texts of yoga and spending time in sacred India, see it as anything less than spiritual revival on the individual level. When we realize this, our very life, actions, and breath are given as an offering to the Supreme, to the Divine. The roots of yoga culture come from sacred literature, yet the practice today reflects something vastly different. We often find that contemporary yoga classes are rooted in a charismatic yoga teacher, be it a Swami, an athlete, a former actor, or an ex-dancer. To be clear, we are not trying to cultivate a cult of personality. As yoga teachers, we are seeking to excavate ancient spiritual teachings while simultaneously purifying ourselves so that these teachings might work through us for our personal benefit and the benefit of our students. When we add one cup of water to a gallon of juice, we have a little more juice. If we add two cups, then we have a little more juice. But if we continue adding water to the juice, after a while, it is no longer juice. In the same way, yoga will always be updated for the time, place, and circumstance in which it is taught. But as yoga teachers, we must be careful not to dilute the teachings to the extent they no longer represent the original intentions of yoga -- ishvara pranidhana. Bhakti is the beautiful and natural practice of taking the ego-self out of the center and placing the divine at the center. Bhakti is about service instead of selfishness. By shifting our actions and consciousness away from self-absorption and towards unity-in-diversity, we can begin to see the spark of divinity in all living beings. Distinctions of ‘friend’ and ‘enemy’ fall away. Nations, races, sexes -- even trees, plants, animals and the earth itself -- are seen in an entirely new light; they are seen as citizens under divinity, worthy of respect and dignity. 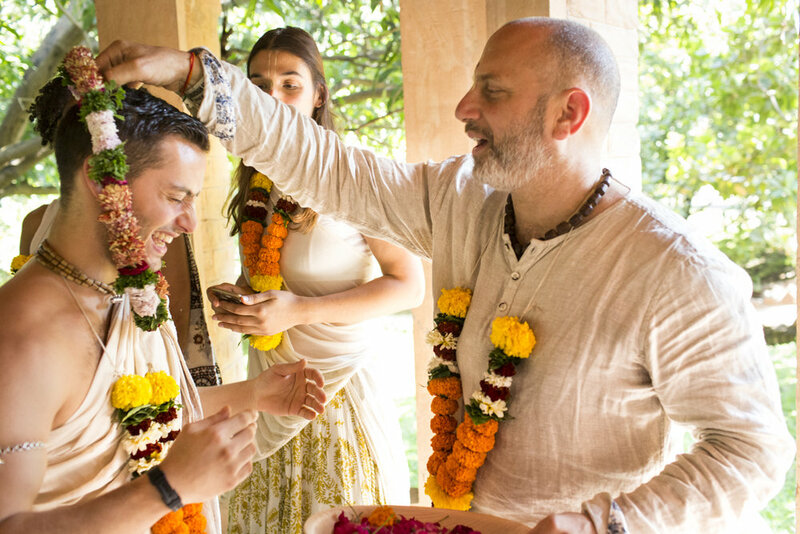 No matter what label we’ve been given or what label we’ve taken on, Bhakti, the process of loving service to the divine and divinity in all life, helps us understand that our real identity is pure spirit soul. We are eternal, blissful, and contain deep intuitive knowledge. We have a deep conviction that we are not born on this planet to hoard, collect, and build fences but in fact, we were born to give love. The current which moves us in our work, our yoga practice, our teaching, our friendship, our relationship with nature, and our family dynamics, serves a clean agenda of desiring to give love to all living beings, as they are part and parcel of God, the Supreme Soul. This is Bhakti, and it is considered by the sages of the yoga tradition to be the highest form of yoga. This is the bigger picture of yoga that has been overlooked, pushed aside and buried. We at Supersoul are here to reestablish and resurrect Bhakti as the essence of yoga, of life itself.